Siel Ju, a.k.a. the Green L.A. 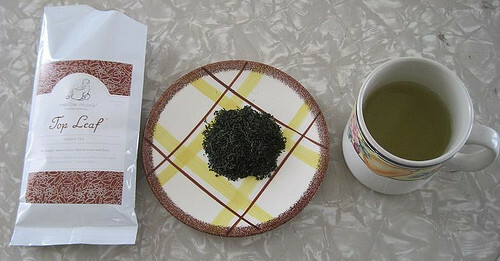 Girl, has reviewed our Top Leaf Green Tea at Mother Nature Network and on her own site. Green L.A. Girl's green tea setup. I love that mug, and the saucer, too — the tea almost seems to be floating in midair.